A tort is a civil wrong (other than a breach of contract) that causes harm to someone. The injured party can seek compensation for the harm by suing the wrongdoer. Businesses are vicariously liable for torts committed by individuals acting on their behalf. Consequently, businesses are often sued as a result of torts committed by employees, partners, executive officers, and other company principals. A tort differs from a crime in a number of ways. First, a tort is an infringement of common law (or in some cases, a state statute) while a crime is a violation of criminal law. A tort is committed against an individual and the perpetrator's responsibility is determined based on liability. A crime is an act against society. The victim of a crime may be an individual but the act is a violation of a public law. Responsibility for a crime is determined based on guilt. Tort law and criminal law have different purposes. The aim of tort law is to compensate the injured party. The primary remedy is monetary damages paid by the wrongdoer. The goal of criminal law is to protect the public by punishing perpetrators of unlawful acts. The punishment for a crime depends on the severity of the act. It may include a fine, community service, restitution to the victim, or a prison sentence. Another difference between a tort and a crime is the burden of proof. To prove a person has committed a crime, the state must establish guilt beyond a reasonable doubt. The bar is considerably lower in a civil case as the plaintiff need only prove that the defendant is liable based on a preponderance of the evidence. That is, the plaintiff must show that it is more likely than not that the defendant is liable for the plaintiff's injury. Some acts may constitute a tort and a crime. For example, assault and battery are torts but also qualify as crimes in many states. Many claims filed against businesses rest on allegations of negligence. Negligence means the failure to exercise care. The degree of care required is subjective and depends on the circumstances and the relationship between the parties. A business has a greater duty to customers than to trespassers. If a business owner is aware of a hazard (such as a wet floor) that may harm customers, he or she must take steps (e.g., mopping the floor) to mitigate the hazard. The business owner is not obligated to protect trespassers from hazards but he or she cannot intentionally harm them. Most business situations require people to exercise reasonable care. People are expected to behave as an ordinary person would act in a similar situation. For example, Peerless Properties owns an apartment complex called the Apex Apartments. Peerless has a common law duty to maintain the building in a habitable condition. If Peerless becomes aware that the roof is leaking, it is expected to behave as other reasonable landlords would act by repairing the leak promptly. The "reasonable person" standard doesn't apply to doctors, lawyers, architects, engineers, and other professionals. Instead, these individuals are expected to act with the same level of skill as their peers in similar circumstances. Generally, a professional is deemed negligent if he or she has failed to act with the care and skill ordinarily exercised by others in the same line of work performing professional services under similar circumstances. Standards of care for professionals can vary from state to state, and from profession to profession. An intentional tort is an intentional act committed by one party that causes harm to another. The injury may be intentional or accidental. Some intentional torts (like battery) result in physical injuries. Others cause reputational or psychological harm rather than bodily injury. Examples are slander, invasion of privacy, and malicious prosecution. Some intentional torts, such as false arrest, may result in both physical and non-physical injuries. Strict liability means liability that's not based on fault. Under the theory of strict liability, a person or company may be held responsible for an injury even if that person or company was not negligent. Strict liability is often applied to activities that are inherently dangerous like blasting and the keeping of wild animals. It also applies to products sold by manufacturers or vendors. For example, Lucy is a tenant at the Apex Apartments. The building owner, Peerless Properties, was notified a year ago that the roof was leaking but has failed to make repairs. Rainwater has seeped into the wall behind Lucy's apartment and the moisture has caused mold to grow. Lucy becomes ill and files a mold-related claim against Peerless Properties. Her suit alleges that Peerless has a duty to exercise reasonable care to ensure the building is safe for Lucy to live in. The landlord has violated that duty, and as a result of that violation, Lucy has become ill. Thus, Peerless Properties is liable for Lucy's illness. 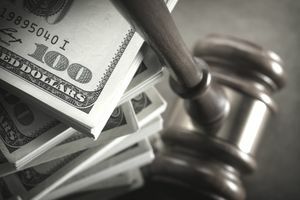 To win a lawsuit based on an intentional tort, the plaintiff must prove the four elements cited above and show that the defendant's act was intentional. Only the act must have been intentional. The injury that resulted may have been unintentional. Most lawsuits based on strict liability involve products. To prove a manufacturer is strictly liable, the plaintiff need show that the product was defective and that the defective product caused the plaintiff's injury. The plaintiff need not prove that the manufacturer was negligent. Your business can protect itself against claims based on negligence, strict liability or certain intentional torts by purchasing a general liability policy. The policy covers claims alleging bodily injury or property damage caused by an occurrence that results from your negligence. The injury or damage may occur on your premises or at a job site, or arise out of your products or completed work. Claims arising from your products or completed work are covered whether they are based on negligence or strict liability. General liability policies also cover claims alleging personal and advertising injury. This term includes seven groups of intentional torts (called offenses). Examples of covered offenses are libel, malicious prosecution, and false imprisonment. General liability policies don't cover medical malpractice, workplace torts, or purely financial losses that result from professional mistakes. You can insure your business against these risks by purchasing medical malpractice insurance, employment practices liability coverage, and errors and omissions liability insurance, respectively.